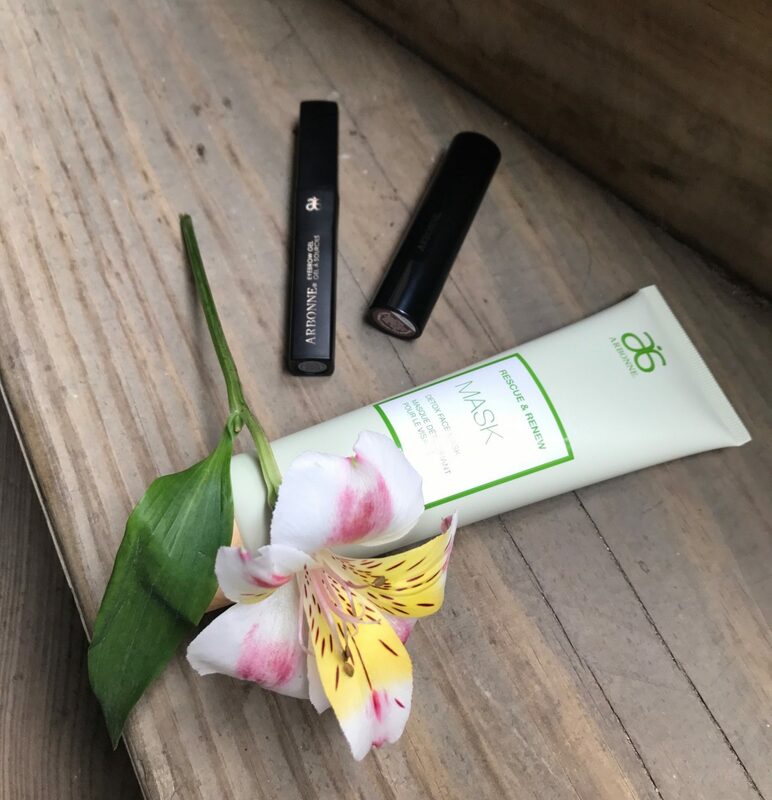 I recently became aware of a company called Arbonne through a friend of mine and after reading a bit about the integrity of the products, I knew I would be finding some special, new things to add to my makeup bag. My loyal readers will know that I’m big on clean cosmetics and always on the lookout for cool makeup and skincare companies that try to reduce the chemicals we expose our bodies to. The biggest reason I became interested in trying out Arbonne products is that the whole company is based on European standards of safety in cosmetics. In Europe, there are around 1,300 chemicals that are banned from beauty products by law, versus the nine — yes, nine — chemicals in the U.S. that are banned. *cringe* Europe always tends to be more on top of food and beauty product standards and when I lived in Italy, I always stocked up on skincare and makeup to take home for my friends and family. I tried out a few products and wanted to share with you guys my results and thoughts, so here we go! I wrote a post a while back about my favorite mask, the Aztec Secret Indian Healing Clay, but I was on the hunt for something different that was pre-mixed and a little bit lighter formula. Sometimes I don’t have the time to mix that mask together, and it can get a bit messy to apply and remove. Like my other favorite mask, the Rescue & Renew mask has detoxing properties, and pulls impurities out of the skin. I have breakouts from time to time so I always prefer a detoxing mask to a moisturizing or brightening one to help speed up the healing process. It’s a clay formula as well, awesome for pulling out impurities and it’s already mixed and ready to apply. The mask uses an oil pulling technology that visibly shows where excess sebum is drawn out of the skin (kind of weird but cool to see). For those who don’t know, sebum is oil secreted by the sebaceous glands of the skin and is often leads to acne. It’s pretty interesting that you can actually see this oil being removed from your pores as the proof that you’re getting something done! Then the rosemary oil (LOVE rosemary oil) in the formula prevents the mask from stripping away moisture from the skin. It’s a super light formula that’s easy to apply and remove and shows visible positive effects right after use. 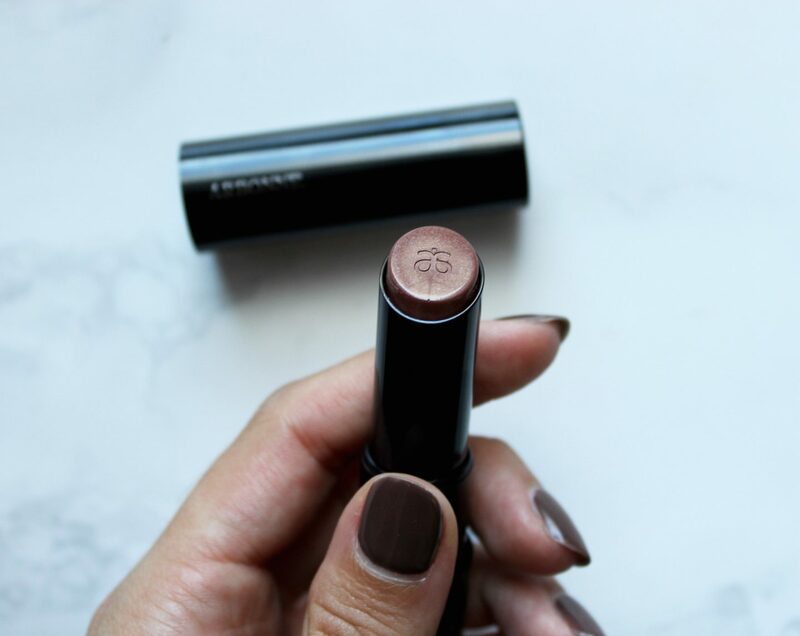 Another product making its way into my favorites is this lipstick that doubles as a balm. For a while now I’ve been pretty into using a liner with lip color and I’ve only been wearing very pigmented shades that I completely fill in. I like the ease of gliding this on to get some color but also moisturize my lips. I’m loving how you don’t have to have this super *perfect* lined and filled color to have a noticeable shade on. It’s lightweight and not drying. Bonus: No parabens are in this product!! It’s sometimes tough to find lip products that are safe but it’s arguably one of the most important products to keep chemical free as it’s right near your mouth! For more info on why parabens are harmful to your body read my post here. I am an eyebrow fanatic and it’s harder than one would think to find a light, non-crunchy clear eyebrow gel. Colored gels don’t work for me, as I have enough fullness in my brows and I’m not looking to add any color, so I stick with clear gel to keep the hairs in place all day. The cool thing about this gel is that there are three extracts (Buddleja davidii, marrubium vulgare, and thyme) that work to condition the skin too. Bonus! I didn’t find a single harmful chemical in this formula which sealed the deal for me that it’s my new go-to bro gel for sure! 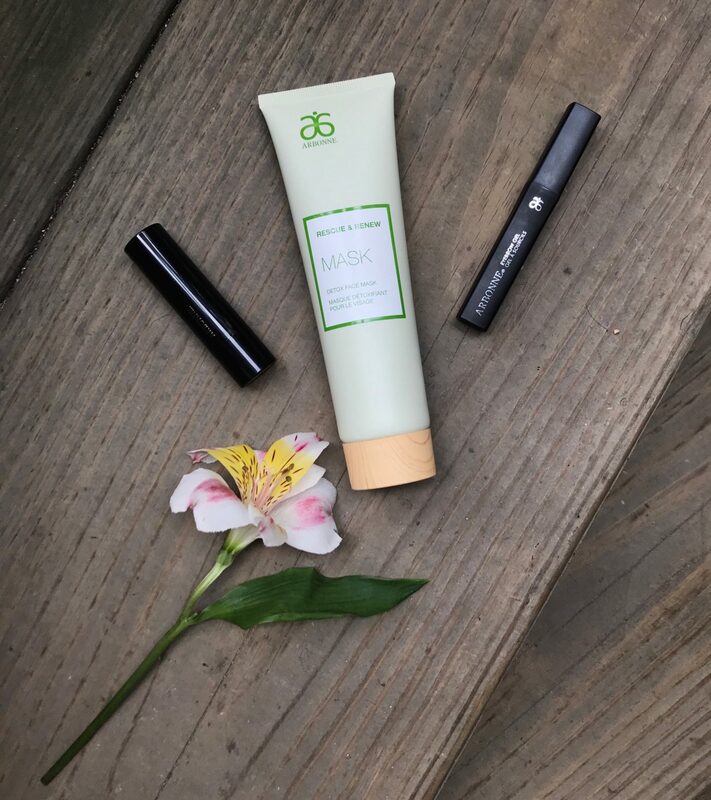 I love beauty products that double as skincare and that’s just what Arbonne offers. They have a wide range of products outside of makeup as well like essential oils, shakes, teas, cleanses and more. In order to purchase from the Arbonne website, you’ll need a consultant to enter in at the final stages of order placement. 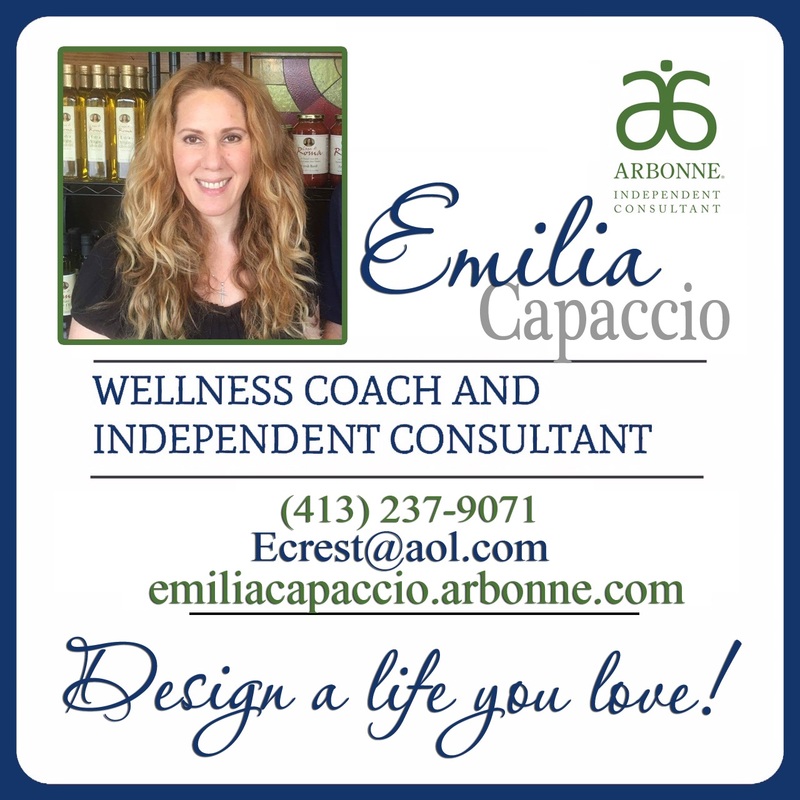 My wonderful and super knowledgeable friend, Emilia is happy to help with any questions and you can enter her information below at your checkout. What do you guys have your eye on?? I’m trying to get more of that lipstick line, personally. 🙂 Let me know what you think and if you have any other cool brands on your radar that are also ingredient-conscious. Very nicely written, Beautiful! 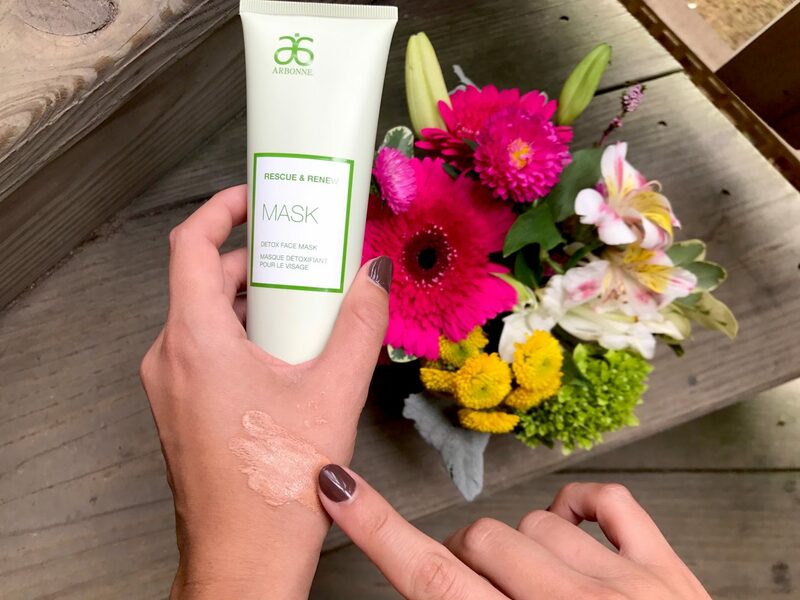 I love Arbonne as well, and use this same mask and two others they have! Thank you for sharing your thoughts. Also an Arbonne lover! Brilliant post, love it! My friend used to sell Arbonne years ago. It looks like they’ve expanded their line quite a bit! Nice Nice Nice!!! The products look very rich and standard. Would recommend them to my female friends over here in Nigeria. Laaaahve Arbonne! I used to use the tinted moisturiser when I was really struggle with my skin. It was so beaut; with a decent amount of coverage without caking my face and making my skin worse. Great post!